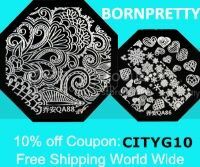 I am still happy to be hosting with Blogger, but the URL is now http://www.glittericity.com :) feel free to update your bookmarks, although the blogspot address will redirect here as well. I'll be updating my watermark next time I edit photos to match the new site! 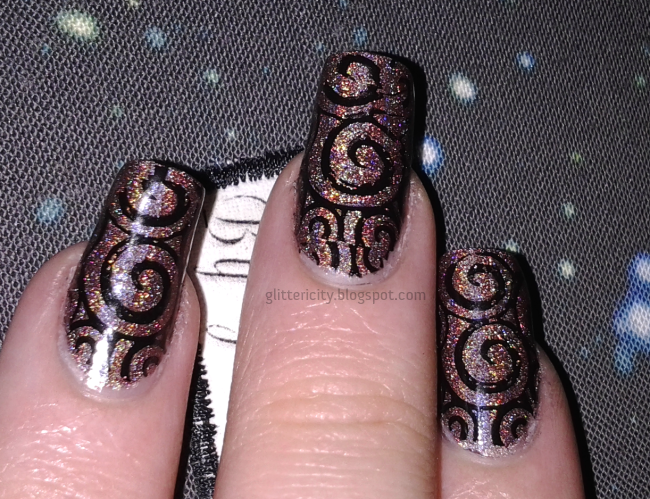 Today I have a quick design for you from the vault--I am enjoying my previous mani so much (and it's staying on so well!) that I haven't taken it off yet. But here is a design I wore a month or so ago, featuring Layla Coffee Love (which I've shown off before!) 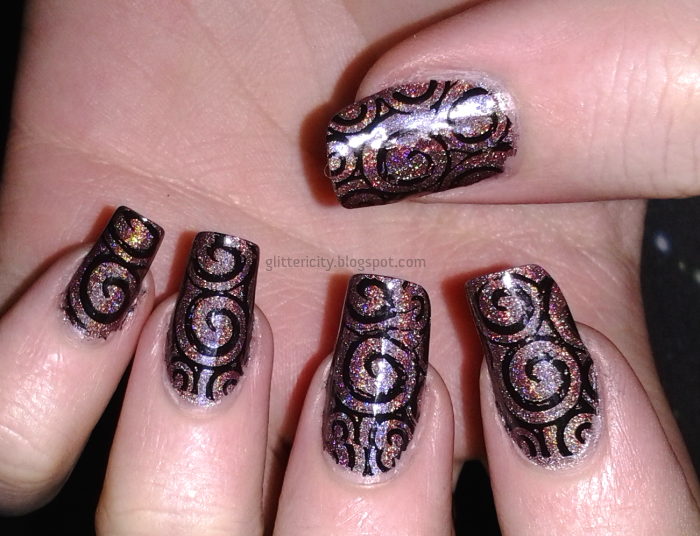 and some simple stamping. 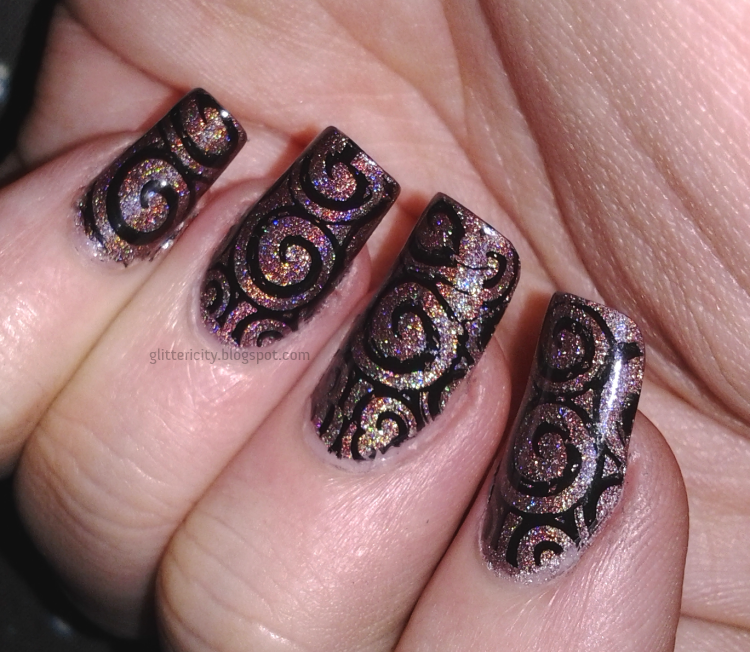 I used Konad black stamping polish and Mash plate 40 for the swirls. Topcoat is Orly Sec N' Dry. Coffee Love is such a pretty polish!